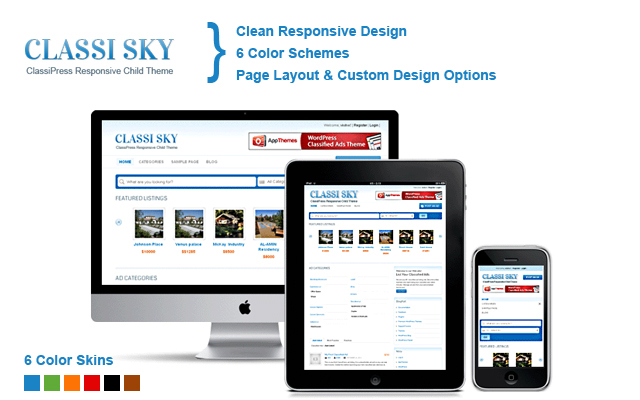 ClassiSky is a responsive child theme for ClassiPress with six colour schemes. 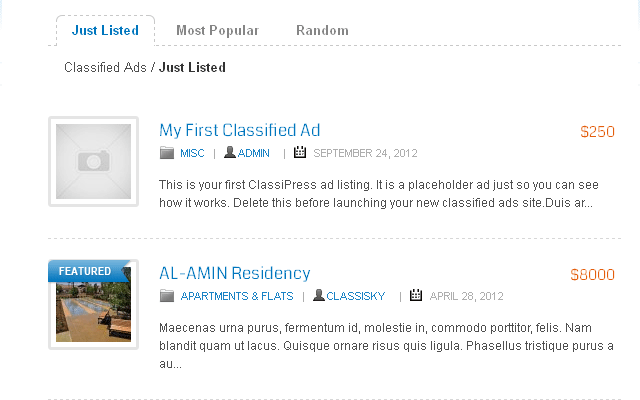 It was first responsive classipress child theme on MarketPlace even when ClassiPress was not fully responsive. 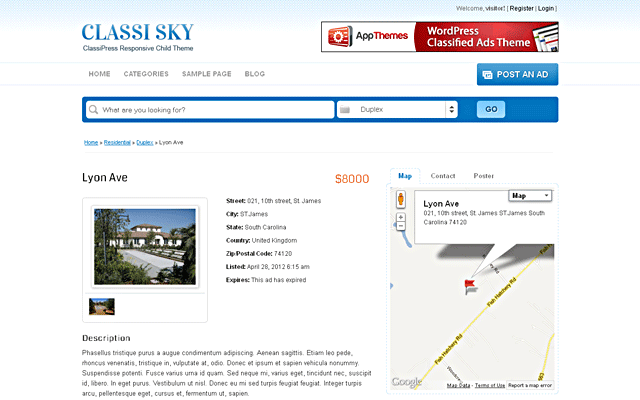 The theme will provide page layout and custom design options. 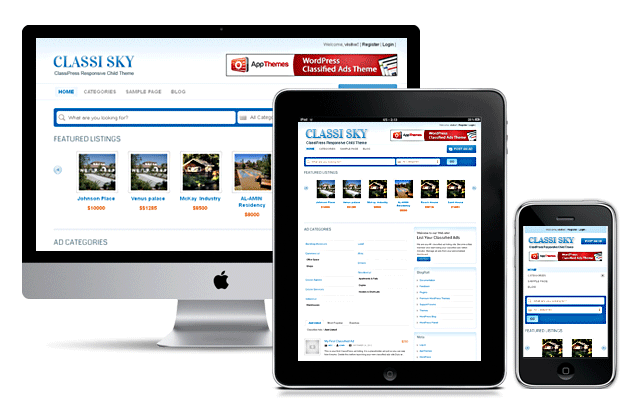 Once you install this theme, your ClassiPress site adjusts layout automatically by keeping all the resolutions intact in on, all devices. We have kept ClassiSky name because it goes with it style and look. It also add, clean & clear instinct appearance by diminishing graphics and thus the page load swiftly and, here it give its really attitudes to stands for those website which are having heavy content. 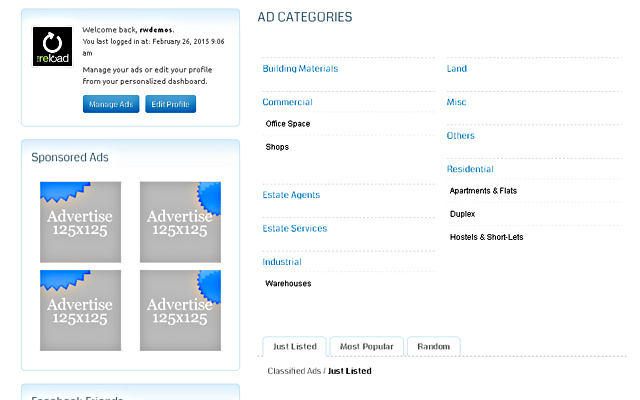 Featured ad tag on ad listing and single pages. 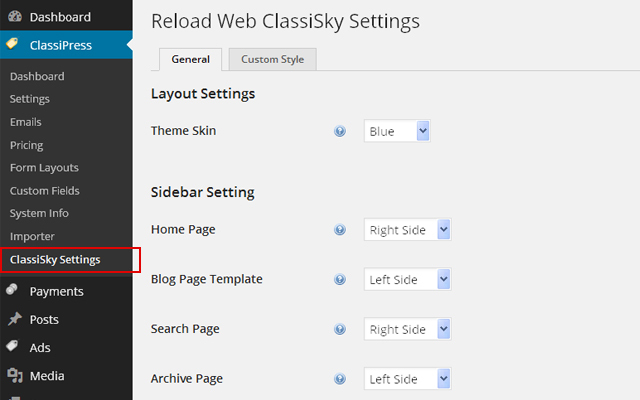 You can manage theme options from ClassiPress → ClassiSky Settings. Fixed ad detail page Images opening on new page instead of popping up. That is how i would describe this theme. Becouse of the fresh layout the content (the ads) becomes more visible. Theme has some royal feel with it. Also i can say only the best about support via forum. If you decide to go with this theme you won´t be disappointed, that´s for sure. Good afternoon wanted to put a plug in my advanced search ClassiPress whose theme is the classisky but this give me problems. I can recommend to put a plug in my classisky advanced search? I appreciate your comments, but you would be glad to know that we have already been thinking on putting on all the things in our new version. 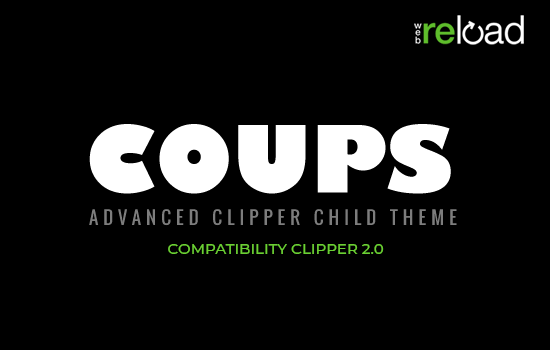 However, we will update our theme after the release of ClassiPress 3.3 and after that I will be updating my theme with the popular plugins compatibility like advanced search, so you will be getting it sooner. 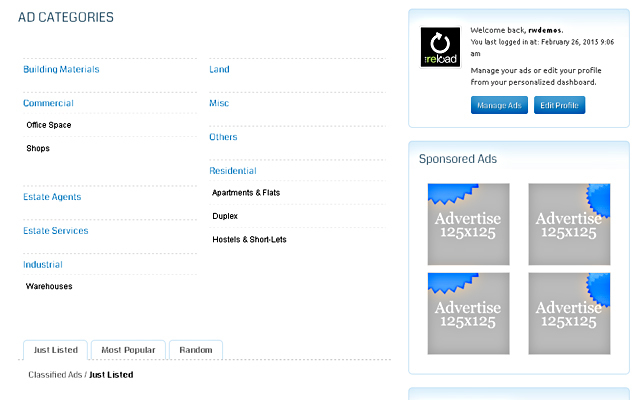 Did you ever update the advanced search plugin to compatible with this theme Reloadweb? 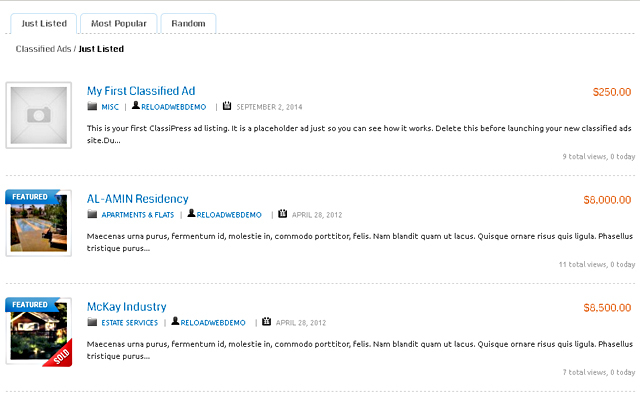 advanced search plugin is not my product and i am not tested it with Classisky. Just wanted to inquire if the map function is part of the child-theme? I am wanting to make a classifieds site but not to list things for sale. Instead it is for lost and found items. Could the “sold” tag be changed to “found” instead?